I am continuing to explore creative ways to use up leftover bread. 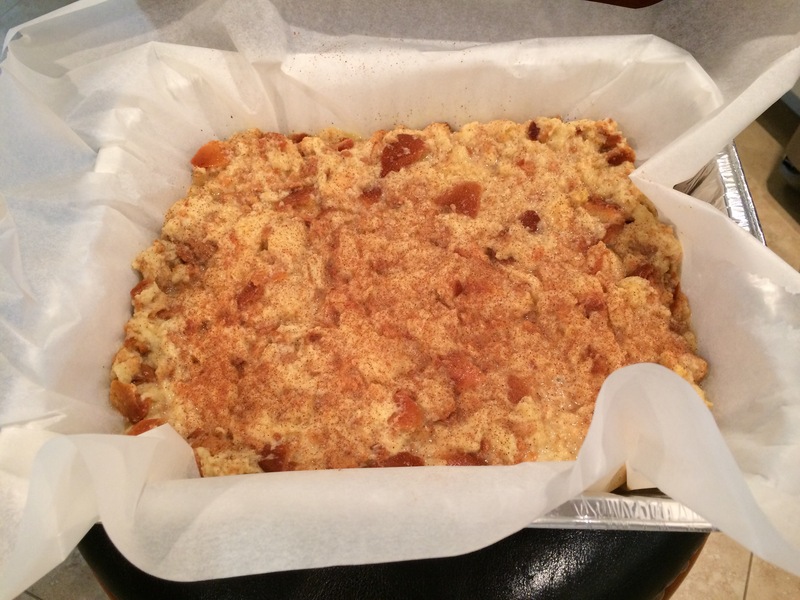 This recipe is another adaption of my challah kugel. Somehow, once I start something, I keep pursuing it until I master the concept. The beauty of this recipe is in its simplicity: it has minimal ingredients, and also very little sugar. Somehow, when it’s not too sweet, it feels healthier. I really like my mother’s suggestion to bake them as cupcakes. Cupcakes cook more quickly, require less fuss when eating and improve portion control. Plus, with cupcake liners, it’s easier to clean up the pan afterwards as well. It’s a win-win for everyone. This recipe is also very accomodating. Since I am time challenged, I find it helpful to prepare the kugel in the morning and then bake it once I get home from work in the evening. 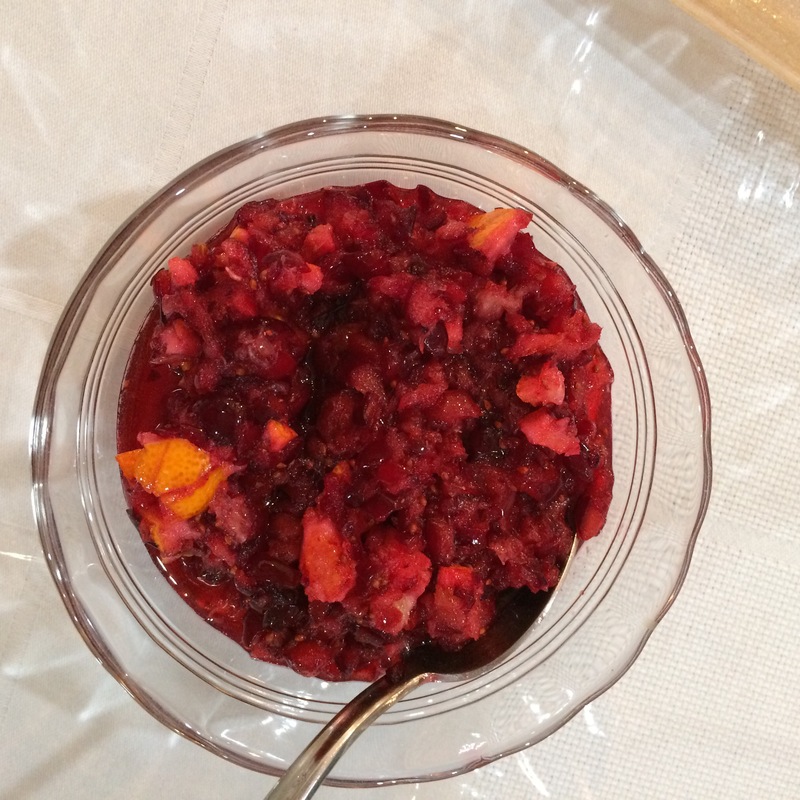 Variations: I have not tried it yet, but, try substituting crushed matzah or rice instead of bread. Please note: The amount of spices depends on the bread. Since challah is relatively sweet, less sugar is required. Saute onions until caramelized. 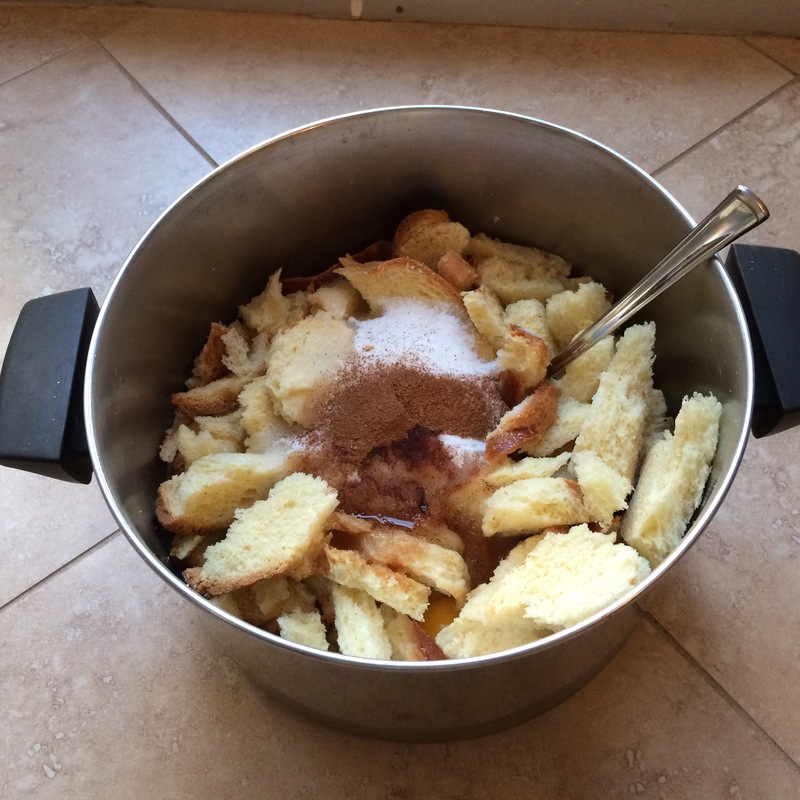 Crumble or break up challah (or matzah or rice) into small pieces into bowl. Combine water and pour over challah. Mix until challah is soft, but not too mushy. Add remaining ingredients and mix well. Pour into cupcake pans lined with cupcake holders. Bake for approximately 1 hour or until done. This time I added poppy seeds. mixing the bread, onions and water. Ready to be put in the oven. Fresh and hot right out of the oven! Even though it has onions, and they are not very sweet, Yaffa and Raizel have been known to eat them for breakfast too! Simple and good! I like to think that Walter would be flattered if he knew how much he inspired me by his off the cuff comment. Interestingly, the other group members were also very amused by his comment. It seems as though it sparked a lot of discussion! The group this past week was continuing to feel disappointed that there was no funding for a holiday party this year. In order to address their disappointment, I initially suggested that we have a potluck party. I received a lukewarm response. As the group members discussed the questions, they began to realize that true happiness comes from giving and sharing rather than getting or taking. When we give to give, we feel love for others and loved by them. When we give to get, it is a recipe for resentment and disappointment. 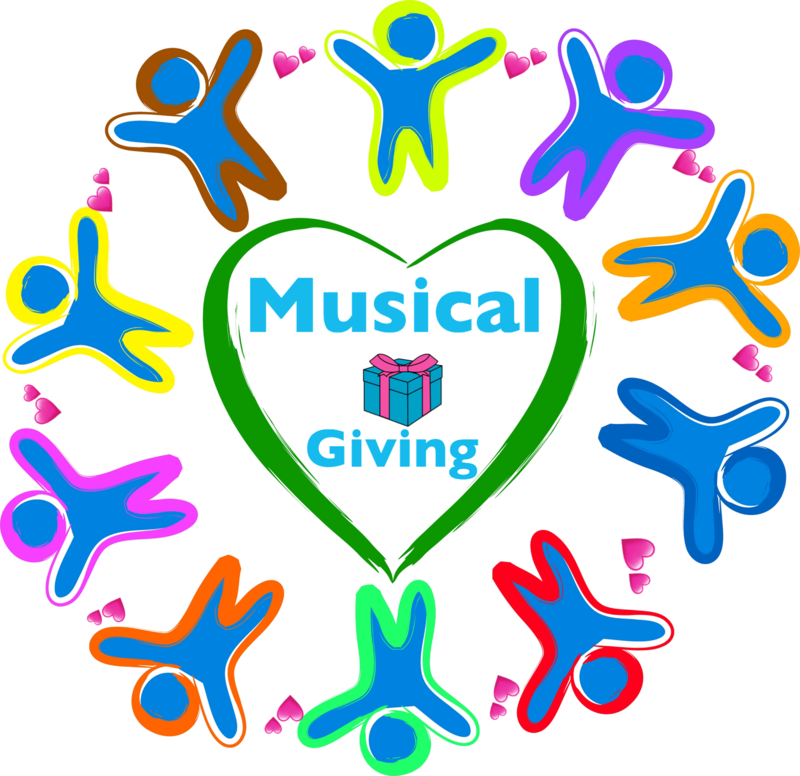 I suggested that even if a group practices “musical giving” it creates more good will than if everyone just keeps for themselves whatever they have. “Musical giving” is my term to describe when everyone keeps passing around even the same gift from one person to another. It is almost like the game “the wonder ball,” hence the name. 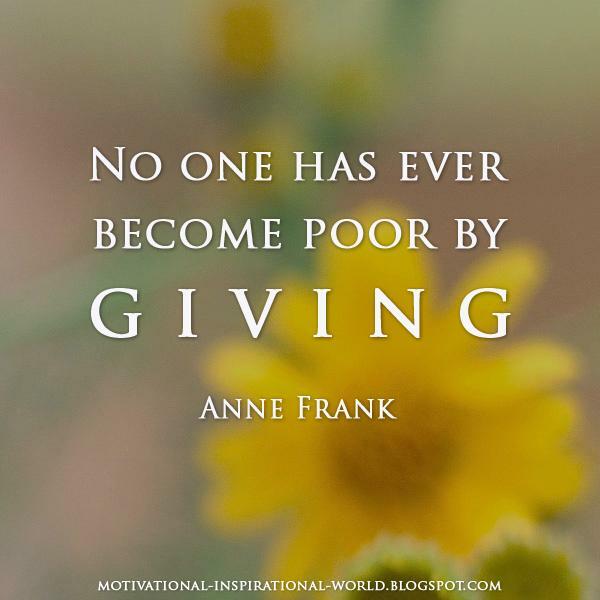 It might not make sense, but, the act of giving, even if it is not consumed and then subsequently passed onto someone else, creates a relationship and promotes spiritual growth and connection. I am happy to say that by the end of the group, everyone agreed to have a potluck holiday party. Hopefully, everyone will remember to bring what they committed to bring in. In the meantime, I am continuing to explore creative ways to use up leftover bread. 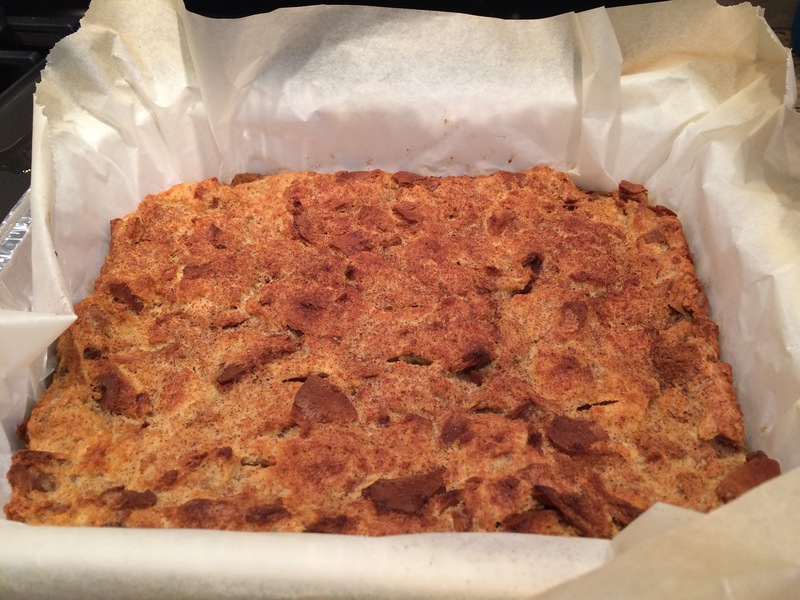 This recipe is another adaption of my challah kugel. At my mother’s suggestion, I decided to make them as cupcakes, so that they would be easier to handle and cook faster. Crumble or break up challah (or matzah or rice) into small pieces into bowl. Combine water (or juice) and milk and pour over challah. Mix until challah is soft, but not too mushy. Add remaining ingredients and mix well. This time, I put everything in the bowl and mixed the ingredients together. Bake in muffin tins so they are easier to eat. No utensils required. I am happy to say that it was a big hit! Enjoy! 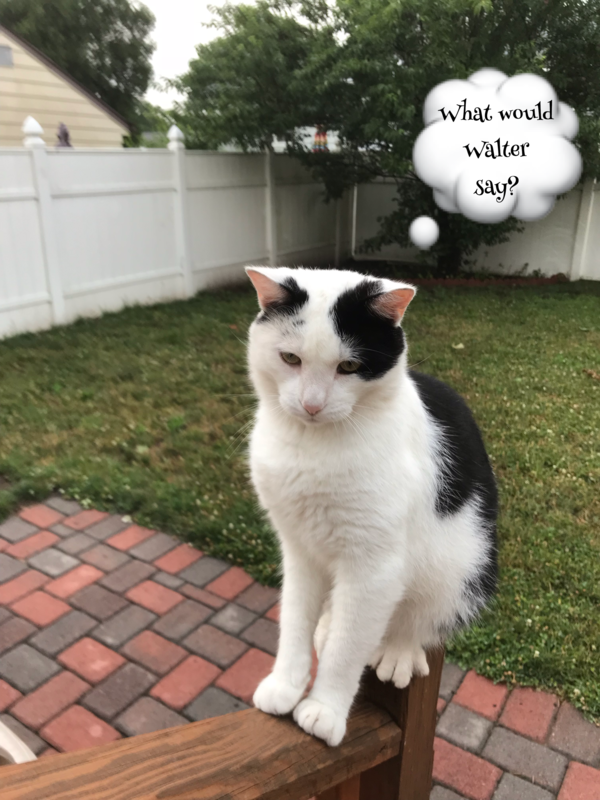 Now, I have to see if it meets Walter’s approval. As I have shared in the past, I consider myself to be a pressure cooker and crockpot Queen, in addition to the Arch Duchess of the rice cooker. To save time, I am always looking for ways to make fast and easy recipes. I was very excited to make this new way to cook beets. It can easily be made in a crockpot, stove top, or in a pressure cooker. Wash and scrub beets. 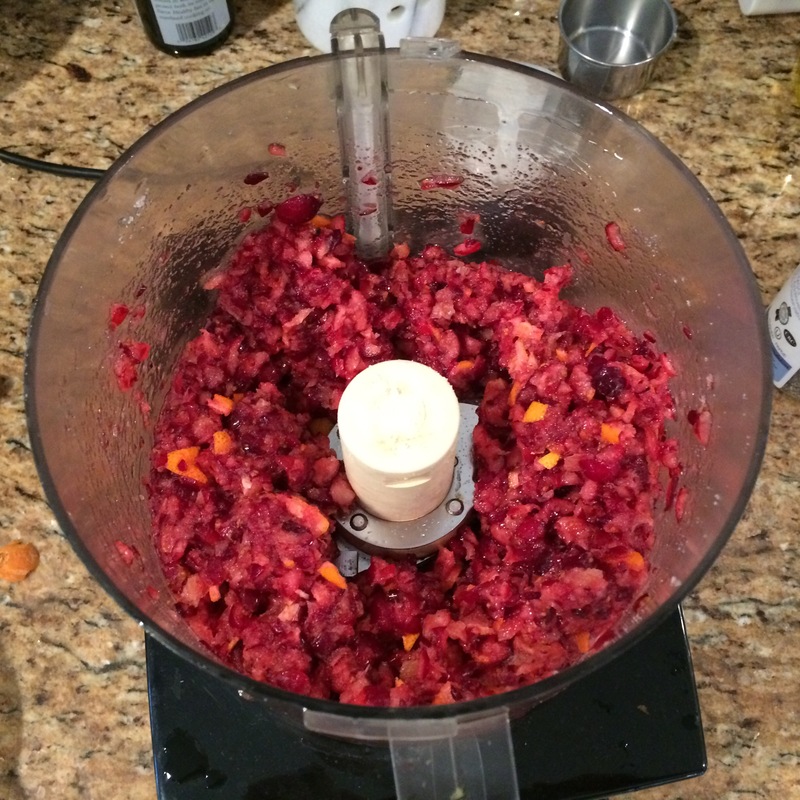 Slice with a food processor. If desired, beets can be peeled or left whole. A longer cooking time will be needed for whole beets. Saute onion, garlic, cumin, salt and pepper. Add beets, water and canned tomatoes. In pressure cooker: bring to pressure for 2 minutes and release the pressure. Simmer if needed until done. In crock pot: place in crockpot and cook on low until done. 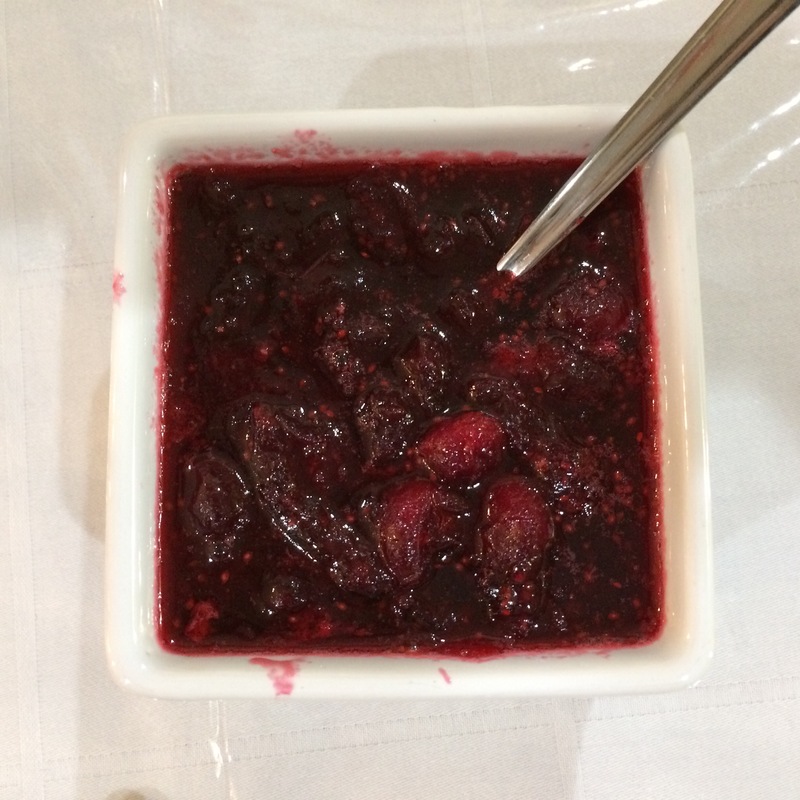 If a longer cooking time is needed, then leave beets whole, so that they can cook all day. Stove pot: bring to a boil and let simmer until done. 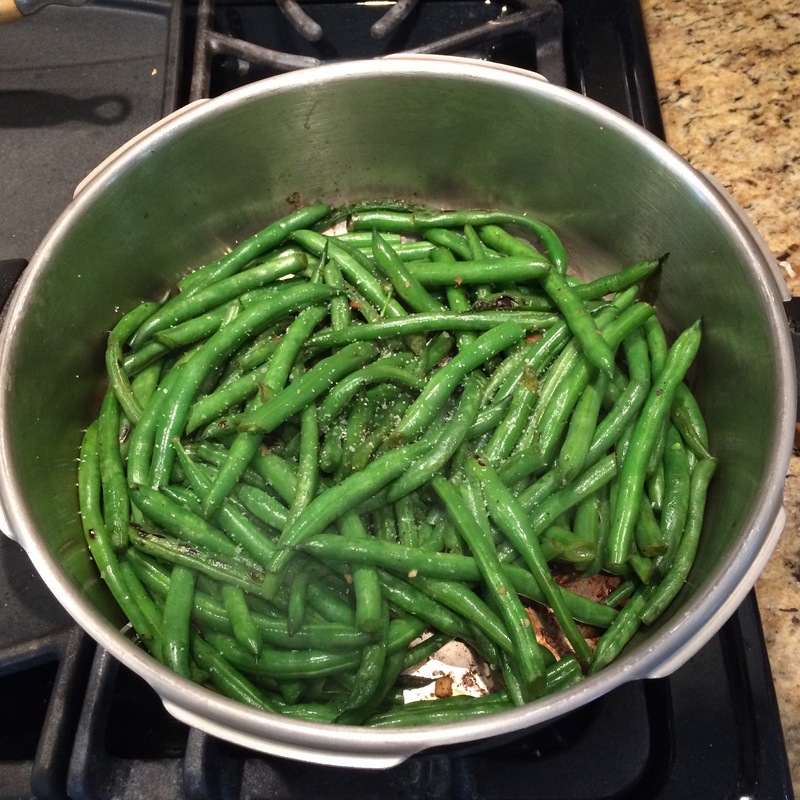 Adjust seasoning as needed once fully cooked. Fresh herbs like cilantro or parsley add a special gourmet touch. 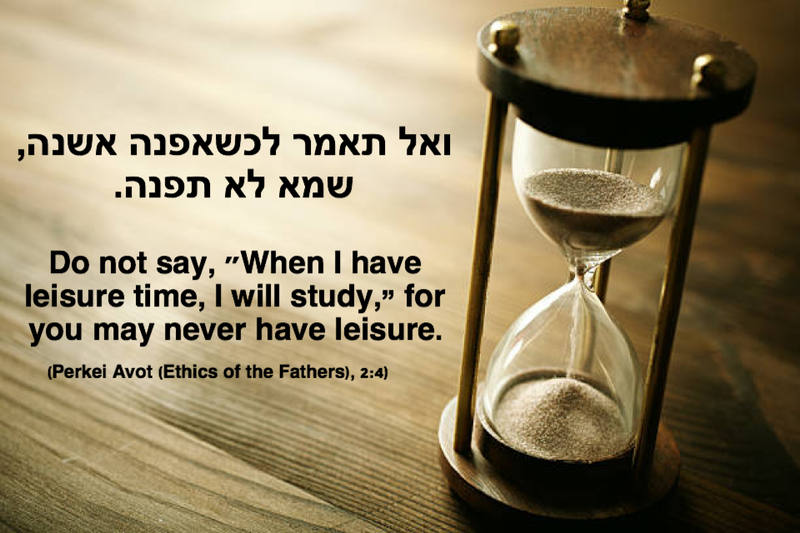 I made this just before Shabbat, so unfortunately I have only one picture. Freshly made, and without any adornment. 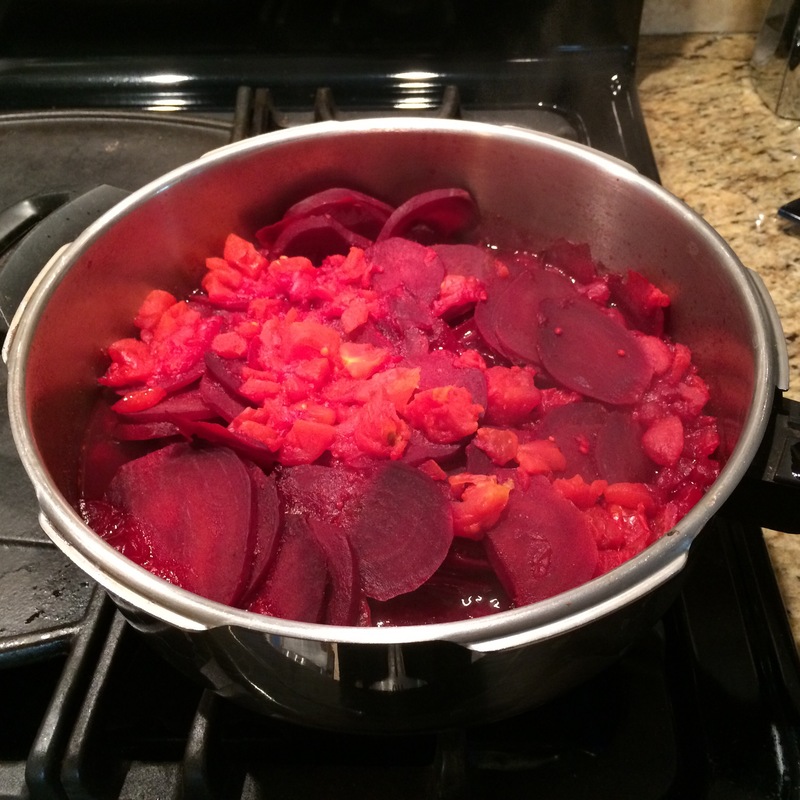 This is a fast and easy and super tasty way to cook beets. Everyone loved them, even my husband who is not a fan of cumin. This is almost one of my non-recipe recipes. My family loves mashed potatoes. 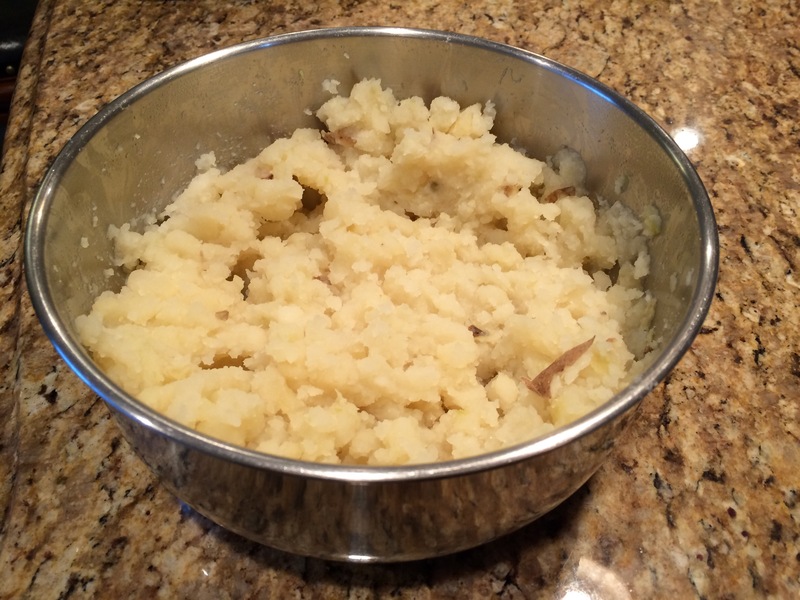 However, mashed potatoes are something that need to be made fresh and served immediately. As I am time challenged, I find it difficult to make anything that requires precise timing. Up until now, I rarely made them. 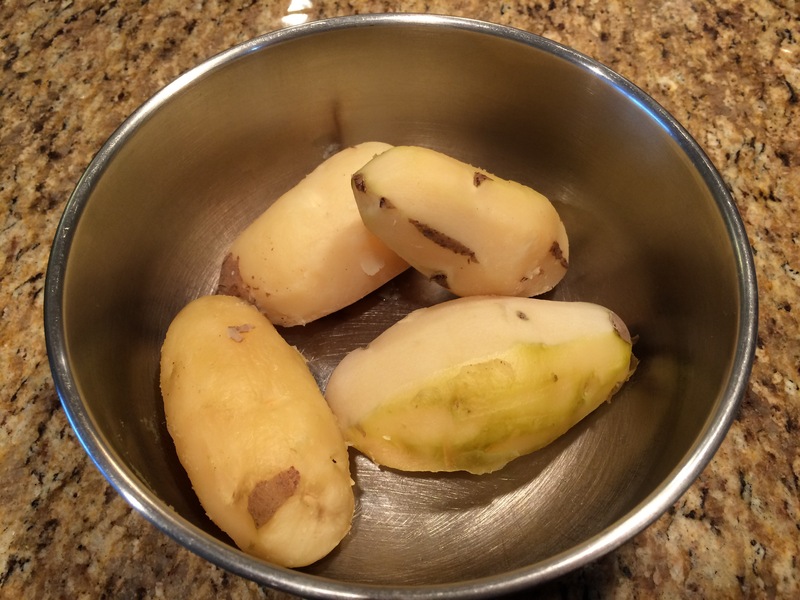 This past week, I was so excited to have discovered cooking the potatoes in the crock pot. The potatoes cooked while I was at work. Then, when I came home, I mashed them just before Shabbat. In very little time, we had wonderful, fresh mashed potatoes. I know that this seems like such a little thing. But, it was very exciting for everyone. Sometimes, it is the little things in life that count. 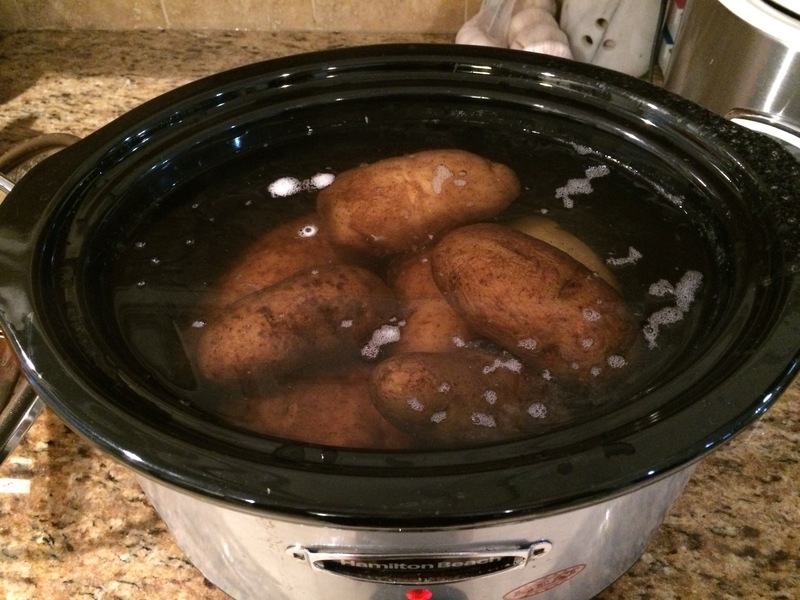 Place whole potatoes in crock pot, and add water to cover. Since I made this early in the morning, I added more water than necessary, to avoid overcooking. However, overcooking is not a high risk proposition. Since they are going to be mashed, overcooking will not harm the final outcome. When I got home, the potatoes were cooked, and not even over cooked! 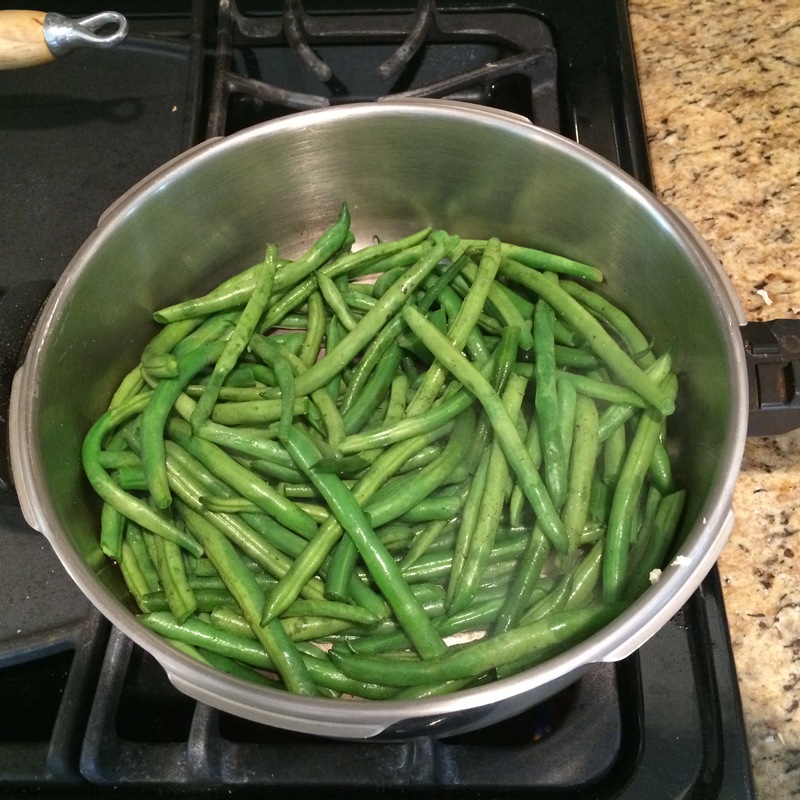 I peeled them, and mashed them, adding the cooking water to desired consistency. As I mashed them, I added the salt, pepper and olive oil. Placed whole in the crock pot, cover with water. I peeled them after they were cooked. Mashed and ready to serve! The variations of mashed potatoes are endless. So far, I have not been too adventurous. My plan was to leave some of the potatoes whole for a potato salad for lunch on Shabbat day. However, that turned out to be unnecessary. Everyone in the family devoured the mashed potatoes! I actually ran out. A definite hit! Now, everyone is looking forward to having them for Shabbat dinner again. I am so happy that it will be possible to make this dish more often.